The U.S. is to become majority-minority nation by 2043 [i]. With this shift in demographics, racial and ethnic disparities in healthcare and the need for systems to accommodate increasingly diverse patient populations has received considerable attention. As U.S. patient demographics continue this shift, the demand for culturally competent physicians, providers, and other healthcare professionals continues to grow. Cultural competence is fundamental to the delivery of quality health services, as culture defines healthcare expectations and impacts every encounter. Research suggests that when clinicians understand culturally diverse backgrounds, they can engage their patients more effectively and provide better care, thus improving patient outcomes [ii]. Additionally, the need for diverse healthcare providers continues to grow. A recent report by Modern Healthcare found that just <9% of physicians and <20% of nurses identify as racial or ethnic minorities [iii]. And these needs are most acute when considering the healthcare inequities facing many minority patient populations in the U.S. However, many med students and future healthcare leaders are not being properly trained and equipped to understand the cultural nuances of diverse patients and how to best serve diverse patient groups. Rather, they are being taught a “one-size-fits-all” approach to care delivery. CHI’s workshop brings together healthcare leaders, medical school academics and leaders, providers, patients, pharma, and other stakeholder groups for an innovative and collaborative discussion on how to best equip our future healthcare leaders with the knowledge, skills, and attitudes that allow them to adequately treat all patients and communicate with their families. Medical school and other healthcare training curriculums must be designed to appropriately train cultural competence. By proactively beginning to think about culturally competent healthcare leaders of tomorrow, we can begin to make steps towards addressing the broader healthcare disparities and heath inequities that afflict the U.S. healthcare system. The workshop will bring together an intimate group of interdisciplinary healthcare thought-leaders, executives, academics, and industry leaders for action for a day of idea sharing, brainstorming, networking, and co-learning. Dr. Benée Brown, PharmD, is the Senior Medical Liaison Associate Director at Boehringer Ingelheim Pharmaceuticals, Inc. She is a graduate of the University of Texas and the University of Texas Health Science Center in San Antonio with experience in hospital, ambulatory care, managed care, and prescription benefit management (PBM) settings. Prior to her Diabetes Medical Liaison role with Sanofi, she served as a Women’s Health Medical Science Liaison with Eli Lilly. This was followed by serving as a Formulary Pharmacist for the second largest Prescription Benefit Management (PBM) Company in the U.S., with responsibility for more than 8 million covered lives. As a PBM pharmacist for the Caremark/CVS National Pharmacy and Therapeutics (P&T) Committee, Benée carefully conducted clinical reviews, pharmacoeconomic evaluations and provided evidence-based recommendations for various categories and classes of Federal Drug Administration (FDA) approved prescription drugs evaluation by the National Caremark/CVS P&T Committee. Benée joined Sanofi in 2005 as a U.S. Medical Affairs Diabetes Medical Liaison in Chicago, IL and Austin, Texas in 2015. She serves as a respected leader and regional partner through the provision of evidence-based solutions in the form of diabetes-related education, support of diabetes-related clinical research and provision of unsolicited medical information. In addition, Benée works in establishing new and strengthening existing relationships with key diabetes thought-leaders, private and public organizations, and institutions. Benée has also successfully led initiatives and projects related to innovation, organizational strategy, diversity & inclusion, and the advancement of improved operational processes. Since 2012, Benée has also served as an adjunct clinical professor at Chicago State University College of Pharmacy. Dr. Neelum T. Aggarwal, MD, is the Chief Diversity Officer at American Medical Women’s Association Associate Professor, Department of Neurological Sciences at Rush University Medical Center. She is a cognitive neurologist, clinical trialist and researcher in the field of population health and aging. She is the Senior Neurologist for the federally funded Rush Alzheimer’s Disease Center (RADC) Clinical Core in Chicago; Director of Research at the Rush Heart Center for Women, and an Associate Professor in the Departments of Neurological Sciences and Rush Alzheimer's Disease Center at Rush University Medical Center. A graduate of the Academy of Neurology - Palatucci Advocacy Leadership Forum, Dr. Aggarwal is a long-standing voice for community based research, clinical trial participation, public health initiatives, both locally and nationally. She has served in numerous leadership roles throughout her career. She is the Chief Diversity and Inclusion Officer for the American Medical Women’s Association (AMWA), member of the Governing Council of the American Medical Association- Women's Physician Section, a Fellow of the Institute of Medicine Chicago, and was recently awarded the 2016 Woman in Science award from the American Medical Women's Association. Her role as a Chicago Innovation Mentor (CIM) in addition to serving as the National Chair for the Women in Bio (WIB) Mentoring, Advisors and Peers Committee places her in a unique position to work with a diverse group of colleagues and mentor women in the medical, life sciences and STEM sectors. She completed her medical degree from the Rosalind Franklin University - Chicago Medical School, completed her neurology residency at Henry Ford Hospital in Detroit, Michigan, and completed an aging and neurodegenerative disorders fellowship at the Rush Alzheimer’s Disease Center. Dr. René Salazar, M.D. is the assistant dean for diversity and professor of medical education at Dell Medical School at The University of Texas at Austin. He is a graduate of The University of Texas Health Science Center at San Antonio School of Medicine and completed his internship and residency in internal medicine at the University of California, San Francisco. After residency, Salazar completed a one-year Latino Health Disparities research fellowship supported by the UCSF Division of General Internal Medicine and Medical Effectiveness Research Center for Diverse Populations. He was a faculty member in the Division of General Internal Medicine from 2003 until June 2016. Dr. Salazar has over a decade of experience supporting diversity and promoting an inclusive climate. As the chair of the UCSF Department of Medicine’s Residency Diversity Committee and the director of diversity for the Office of Graduate Medical Education, Salazar led efforts to recruit diverse residents and clinical fellows to UCSF. Salazar also helped develop a UCSF campus-wide unconscious bias educational initiative to increase awareness and provide skills to address unconscious bias among UCSF faculty, staff, students and trainees. Salazar has presented his work at national meetings including the Association of American Medical Colleges, the Society of General Internal Medicine and the Society of Hospital Medicine. His work has also been featured on NPR. Dr. Copeland is Senior Vice President of National Diversity and Inclusion Strategy and Policy and Chief Diversity and Inclusion Officer for Kaiser Permanente. Through multiple collaborations, he leads Kaiser Permanente's Program wide efforts to ensure our strategic vision for diversity and inclusion is successfully implemented to drive strategic business and mission outcomes, empowers communities we serve, and results in all Kaiser Permanente members achieving health and health care outcomes that are high quality, equitable, and increasingly more affordable. 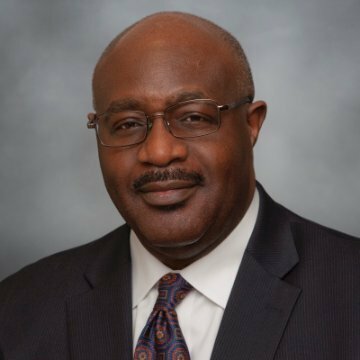 Dr. Copeland is a member of Kaiser Permanente’s Executive Diversity and Inclusion Council, a group composed of the chairman/CEO and other C-level leaders who oversee executive accountability for embedding the diversity and inclusion strategy throughout the organization. Additionally, he is chair of the Kaiser Permanente National Diversity and Inclusion Council, which develops and implements the diversity and inclusion strategy and policy recommendations. A board-certified general surgeon, Dr. Copeland joined Kaiser Permanente in 1988 after a six-year honorable tour of duty in the United States Air Force Medical Corps. Prior to his current role, Dr. Copeland served as President and Executive Medical Director of the Ohio Permanente Medical Group. The Rochester, N.Y., native earned his bachelor’s degree from Dartmouth College and his medical degree from University of Cincinnati Medical College. He completed his residency in general surgery at State University of New York Upstate Medical Center in Syracuse. He also attended the Advanced Management Program at Harvard Business School. i. U.S. Census Bureau Projections Show a Slower Growing, Older, More Diverse Nation a Half Century from Now. U.S. Census Bureau, 2012. https://www.census.gov/newsroom/releases/archives/population/cb12-243.html. ii. Questions and Answers: Physicians should gain cultural competency. Brown University, 2015. https://news.brown.edu/articles/2015/09/cultural.